Dutch start up secures €6M to advance suture device for vascular surgery (BioWorld MedTech) | Mellon Medical B.V.
Suture-enabling devices are available for use in several surgical indications – but none specifically for vascular surgery. Mellon Medical B.V., which is based in Nijmegen, The Netherlands, plans to change that. It has a prototype of its single-use suturing instrument, known as Switch, that it aims to gain a CE mark for in 2019. A er that, it plans to launch in the Netherlands and Germany late that year or in early 2020, with an FDA regulatory nod potentially slated for about two years a er one in the EU. Mellon has raised €6 million (US$7 million) to back its prototype manufacturing and CE mark e orts. The initial applications for an 8 centimeter Switch model are expected to be carotid artery surgery, kidney transplant and peripheral bypass surgery. has enabled a roughly doubled suturing speed, which is expected to have potential benefits for patient outcomes since vasculature is clamped o for a shorter amount of time, thereby potentially proving less damaging to related organs. “Almost 70 doctors were involved with the prototype, with each we have done three test runs on biomaterials. A er session three, it is almost 40 percent faster than the classical method. So, suturing can be done twice as fast,” Mellon Medical COO Jan Benschop explained to BioWorld MedTech. “If the physician is working on the carotid artery in the neck, they have to put a clamp on it in suturing. That clamp can be removed 50 percent faster, so blood flow to the brain can be restarted faster than with the traditional method. With a kidney transplant, you remove the clamp much faster as well so there’s more blood flow to the organ,” he added. Switch was invented by vascular surgeon and Mellon founder and CMO Mark Vrancken Peeters specifically to enable better and more e icient suturing of tubular and layered structures. He worked together with medical specialists, industrial designers and ergonomic experts to design the device, which he anticipates will not only anticipate surgical procedures but potentially improve patient outcomes as well via faster, more precisely conducted procedures. Conventional suturing is highly dependent on surgeon training and practice. On average, an estimated 30 percent of operating time is spent on suturing. The Switch has a needle that is secured in one of its two jaws. Its sutures follow a predictable linear path causes less friction than traditional methods, which is expected to result in less damage to the vessel wall. Ultimately, the platform technology is expected to be applicable across a variety of procedures including general surgery, micro surgery, urology, gynecology, coronary artery bypass surgery and neurosurgery. Notably, former Allergan CEO David Pyott participated in the financing, which was led by Dutch health care and life sciences investor Biogeneration Partners (BGV). Pyott was the CEO of specialty pharma and medical device company Allergan Inc. from 1998 until its sale to Actavis for about $66 billion in 2015; the resulting company is known as Allergan plc and is based in Dublin, Ireland. Pyott is now active as a private investor. 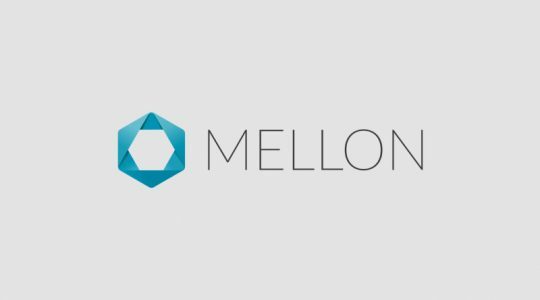 “The strength of the award winning Switch technology, combined with the scientific and entrepreneurial expertise of the Mellon founding team, caught my attention when considering a participation in this financing round. For my investments, I look for di erentiated technology that should improve patient outcomes as well as reducing cost. Mellon’s health economics story is compelling,” concluded Pyott. Existing Mellon Medical shareholders Dutch Thuja Capital, Innovatie-en Energiefonds Gelderland managed by Oost NL, and Brabantse Ontwikkelings Maatschappij (BOM) also participated in this financing. This series B round brought the total raised since the 2013 inception of Mellon Medical to about €10 million (US$11.8 million).